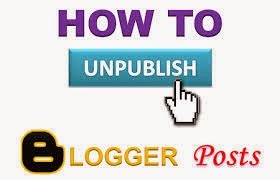 How to Unpublish a Blog Post in Blogger ? Go to dashboard of your blog. Click on the right side box of the post to select. It will ask for conformation and your post will get delete permanently if you confirm that.